So this is where Bonzo's drum set auction comes into play. This is a wonderful thing but... 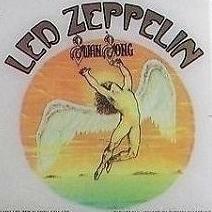 I would think the members of Led Zeppelin would easily be able to make this funding goal?? If the surviving members "make it happen" then it's no longer a tribute by the general public. Ah, ok. I guess I overlooked the fact that it's a grass roots, home town sponsored gesture. I don't think Page, Plant or Jones would attend any festivities either, as their presence may overshadow what is meant to be a tribute to John. 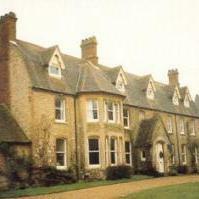 Of course, I anticipate Jason will be there, and several Bonham family members. THAT will really make it a memorable day! That is an OUTSTANDING bit of news. Well done to all involved. Duly added to my bucket list to visit. Does anyone else think the statue looks a bit mad? I mean it might be great in the flesh but all the tympanis and cymbals could look a bit 'busy'. I was think it would just be him standing like most statues you see. Yeah, it looks a bit cluttered from the artist's impression, but hopefully the real statue will look better when you see it in the flesh. At least he's not clutching a mudshark or doing jobbies in a handbag. There are stutues of The Beatles in Liverpool without a drum or guitar in sight. I think having the whole drum kit there is a bit much, hopefully I'm wrong and it looks great. I actually think the whole inert statue concept is now passe. Obviously budget and location was a limiting factor on this occasion, but some sort of multimedia, interactive installation would have been great. 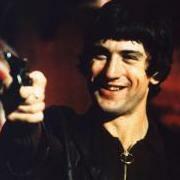 I literally want to feel Bonham's legendary bass drum beater in the walls of my gut as I approach him. It's very hard to tell what's going on in that photo and I haven't seen any other pics on a Google search. I think the whole idea is wonderful and just hope whoever the sculptor is, he has a sense of taste and can render the feeling of Bonzo playing. I hope it's not a cluttered up mess. It really depends on the artists aesthetic. In some ways I think a relief would make more sense if it's going to be an action shot because there is so much air space between drums and cymbals. This could be very moving if it's done right , in Bronze. Bronzo! Hope to visit this one day! 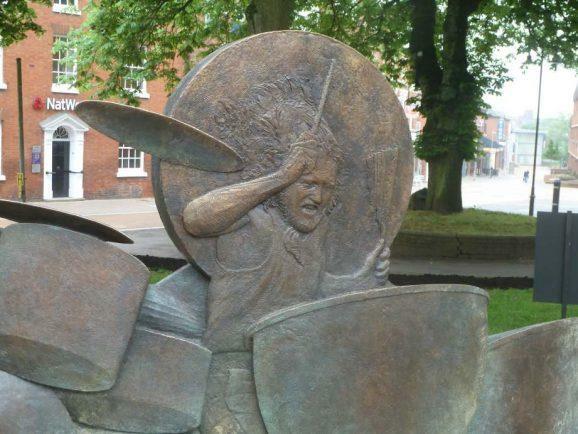 REDDITCH rock legend John Bonham will finally be honoured with a statute in the town centre. 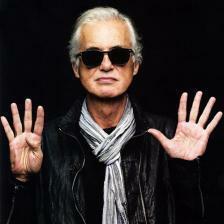 A large bronze memorial depicting the Led Zeppelin drummer will be built in Mercian Square, off Church Green. The memorial will have an arc shaped footprint and be approximately 180cm high (at its highest point), 490cm wide by 125cm deep and weigh more than 2,500kg. The statue, featuring a wheelchair friendly path around it, will be fixed onto a concrete foundation. The striking design is intended for 360 degree viewing. It is hoped the statue will be revealed before what would have been the iconic drummer's 70th birthday in May next year. The plans were given the go-ahead at a Redditch Council meeting last night. It is the culmination of years of hard work and fundraising by The John Bonham Memorial Fund, formed in 2013 to raise cash for a permanent memorial. 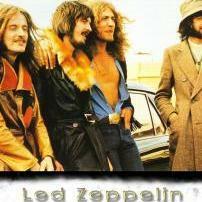 Bonham was born in Redditch and was the drummer for Led Zeppelin until he died at the age of 32 in 1980. Especially the continuity error of it going off then back on again as they switch from one camera to the next after the song has finished. YES! TSRTS has a lot of great continuity errors that are fun to spot! Is the John Bonham statue unveiling still going ahead 31st May? What’s happening on the John Bonham Statue opening in Redditch?? 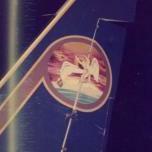 It’s disappeared off the Led Zeppelin “Upcoming events” prominently featured on Twitter & weekly emails. I looked too & can't see anything, it's disappeared off the radar altogether. Anyone on here live near Redditch? The city council approved the planning permit more than six months ago, but I've seen nothing that suggests they ever raised more than 10% of the 50,000 GBP necessary to produce it. 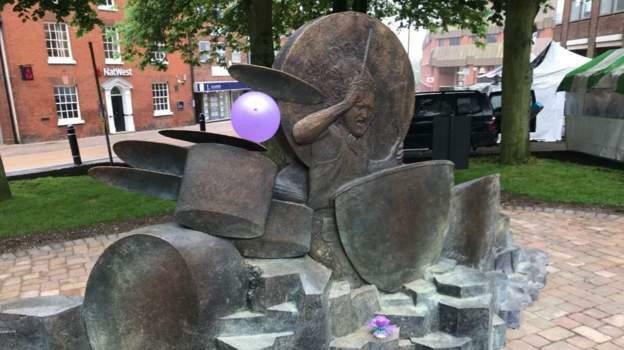 However, there's a tribute act performing in Redditch on June 3 with the proceeds going to the John Bonham Memorial Fund, so if anything it seems to still be a going concern. It says in the article posted above from October 2017 that "The main bulk of the funds for the memorial, by renowned British sculptor Mark Richards, have been raised thanks to a private donation. ".